I could listen to Shani Mootoo read her work for hours. Beautiful voice, in writing and in speaking. Encore? Loved it, and the interaction after. The film was amazing and brought to the forefront an important issue than most people aren't aware of. The discussion after with the filmmaker was informative and inspiring. 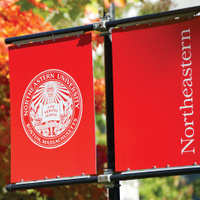 I hope Northeastern continues to address global issues like this. An impressive gathering of students and scholars! In fact it was a lively presentation of the European crisis from various perspectives and an exchange of views between the speakers and the audience. I commend you for organizing such a high caliber event. On a different note, myself as an economist and a Greek citizen who lived in Greece during the crisis I would be readily available to present when you organize the event's sequence.